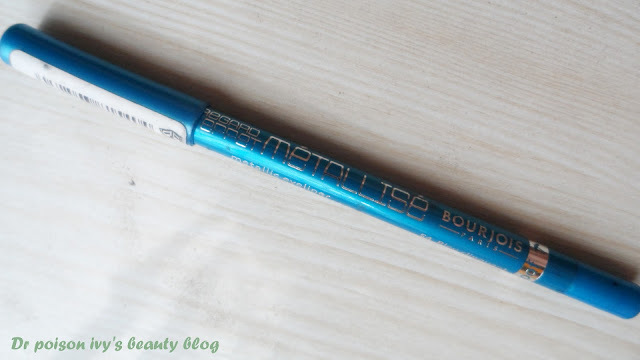 An intense, metallic, waterproof eye pencil.Provides dazzling, luminous color that lasts all day. The creamy formula is enhanced with vitamin E and jojoba oil for a silky smooth texture that glides on in just one swipe. To create maximum impact at a party, dazzle everyone with a flash of metallic colour on your eyes, with these waterproof metallic pencils. Whether you want to match your eye makeup to your new shiny dress, or make intense eye contact with the party guests, your eyes will not go unnoticed. PACKAGING- it comes in an ordinary pencil form . So nothing much to say about the package. However the pencil cover is the same as the liner color . That's a plus point as it helps in easily distinguishing the colors. PIGMENTATION-it is highly pigmented so it won't let you down. TEXTURE- its smooth and glides on easily without pulling or tugging on the eyelids. STAYING POWER- it stays on my oily lids for 5-6 hours :) definitely smudge proof and water proof. 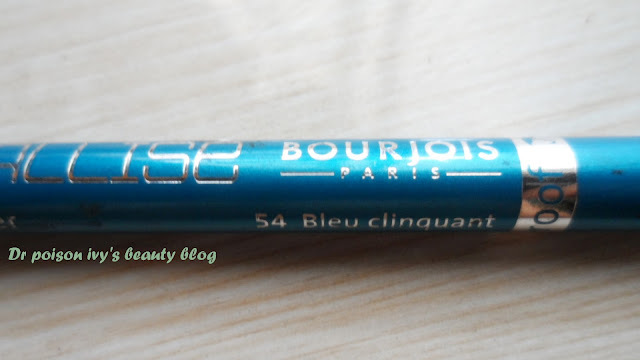 Anyway, i don't own a single blue (either eyeshadows or liners) so when i bought this Bourjois metallic i was a little skeptical as to how i would wear it . But i'm loving the vibrant color. i pair it with a simple white kurta and denims. Can also be worn for night parties with an LBD. 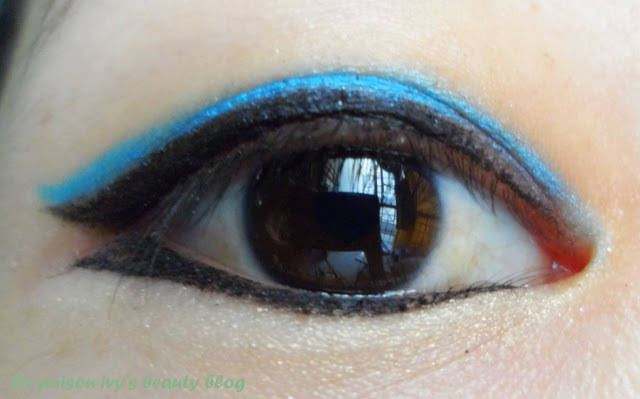 thank u :) do u owe any blue liners? thanks dolon. have u tried any bourjois liner? so hows d prep going? no, I don't right now. 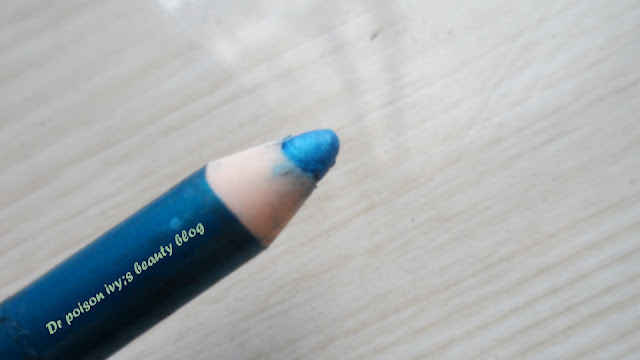 used to have one from Rimmel which was a nice cobalt blue. i knw ... its pretty scary :( plus aiims seats r so limited!! Thats such a lovely vibrant shade.....gorgeous!! p.s. I'm having a giveaway from Dahlia if you'd like to check it out. beautiful! Love it on you! Sarah Kay-"if i should have a daughter"
Winner of the 100 gfc Soulflower giveaway! !